What is a business without credibility? Some people say that credibility doesn’t matter much – but it does. Think about where you would like to visit, places you would like to shop in, places you would like to eat and do business in, are any of these places located in less than deserving areas, a mailbox, non-professional location or in someone’s basement? People give credibility to credible places every single day, why would it be any different when you hand-out a business card with a business address showing a mailbox service, or worse yet, an address that shows your renting an address from a big-box operation and not a professional office service. A private and boutique physical business address does make a difference, and for many professionals and business owners this is one of the more important benefits of a physical virtual office. Do you currently handle and manage your own phone communications like, voice messaging, call forwarding, message forwarding, faxing, and voice mail notification? If so, either you or a person you employ is handling these functions for you using up precious time and money. With a full-service professional virtual office all these functions are handled for you at a fraction of the cost of an employee or doing it yourself allowing you to free-up your time to manage your business. With a virtual office you can pick and choose the services you need. You can add on services as your business grows. What better impression than to have a live operator take your calls from your dedicated 212 Manhattan phone number. You get a dedicated phone number with an area code that says you’ve made it – Manhattan’s most sought after area code: 212. All of this establishes credibility with the people you are doing business with and puts your business on a higher level of professionalism. Your virtual office can be setup within hours of your completed registration. You could sign up today and have your virtual office up and running by the same time the following day. Your business location can go from your office den at home to a fully staffed office in Midtown Manhattan location virtually overnight. Receiving correspondence, orders, contracts and important documents right at your virtual office location is extremely important because it provides functionality. You can have all your important communications sent to one safe and professional location. The above are just 5 basic examples on how a reputable virtual office service may greatly benefit you and your business. 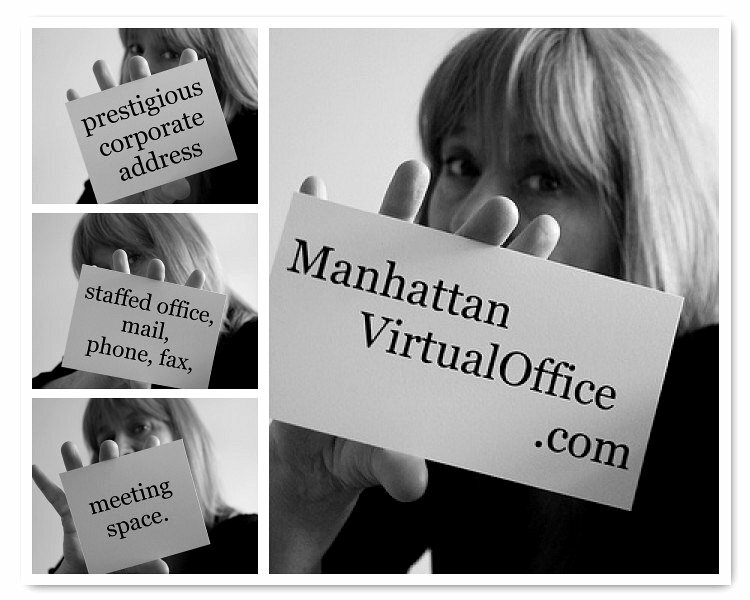 You will find that a virtual office from a professional service like ManhattanVirtualOffice.com will not only provide credibility for your business but that the conveniences from such a service will also save you time and money allowing you to focus on running your business and not the office.